No Words are Powerful Enough To Express The Importance Of Basic Scientific Research To Our Past, Present and future. 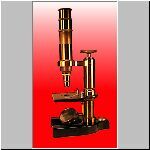 Scientific Instruments have forever changed our lives, our world. Collecting and preserving them is of fundamental important for they teach us how scientist and Science work. Remember the first sentence above in this window. 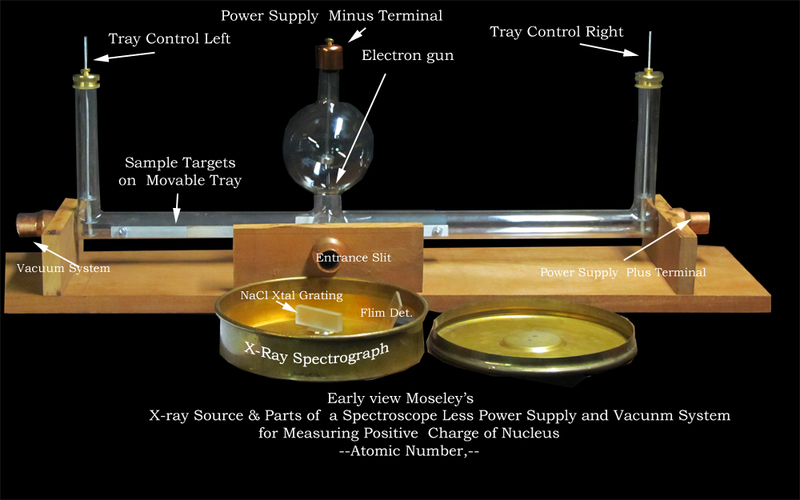 apparatus used in the discovery radium and other radioactive elements. 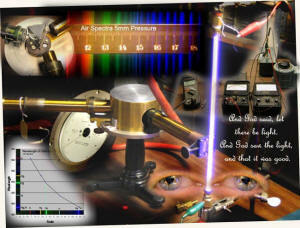 Click here to See the inside and out side in detail of these wonderful instruments and experiments. The setup above was for a video covering some of the very special scientist who helped fill the periodic table "The Mystery of Matter"
Click Here Marie Curie the star of the show and her discovery of the enormous power of the atom. See her apparatus, how she used her fingers to make this spectacular discovery . 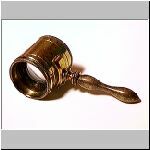 Before Einstein's invention of E=MC^2 Click Here Priestley's Burning Lens, a clean high temperatures source of heat, he used in experiments generating oxygen. Some early replications of Priestley's chemical work including comments on solar heating and decomposition of mercuric oxide. To see Davy-explosive Potassium Click here metal to see the fire works of one of the first electrochemist or how about Visit our web site tell our story about of the beginning of the modern electrochemical methods of discovering new elements for the periodic table. 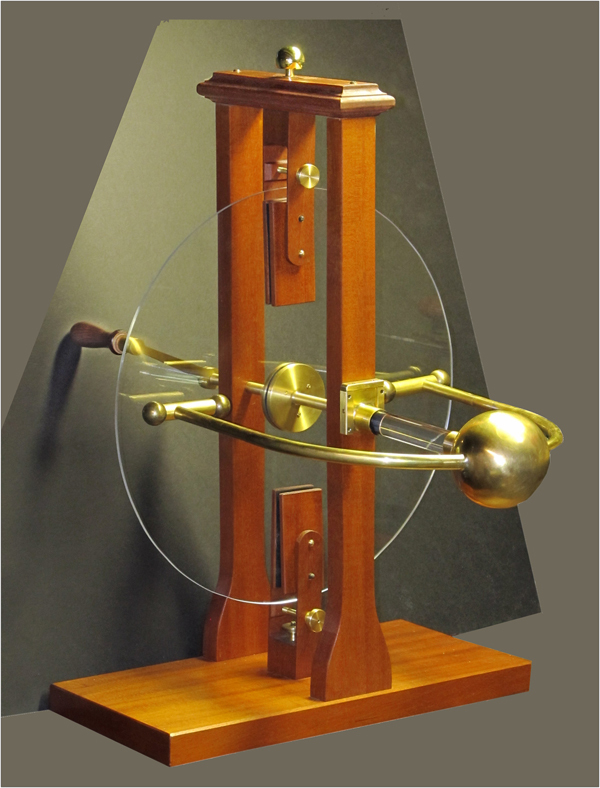 Shown below is our replica of President J. Madison's glass disk type electrostatic ,high voltage low current, generator. We made this machine for The Montpelier Foundation, who are the trustees of Madison's home and property. They felt it important to show how well rounded president Madison was beyond being a valuable law maker. 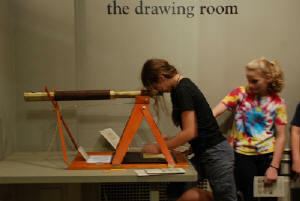 It also serves to demonstrate such an instrument adding to the interest of the exhibits. During the development era of electrostatic generators they served as handsome parlor toys, medical quack machines, and most important. significant scientific instruments. It is believed that president Madison acquired his generator at a time it was playing a major role as a scientific instrument. This is supported in part because president Thomas Jefferson and Benjamin Franklin statesmen / scientist contemporaries had similar instruments. In fact Benjamin Franklin used his to lay down the foundation of modern electricity and inventions such as the lightning rod. There for let us trace out just how valuable it was toward the future. its first virtue was that it could producer a stead flow of electricity making it easier to study and use electricity. One of the first engineering uses was in a telegraph system. In time they progressed to an important role in the development of instruments used in nuclear physics. Let us follow this path by examples. Today its role is as a symbol of the human races greatness and progress. 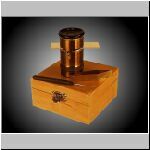 This instrument helps the Montpelier Foundation to show that president Madison and his colleagues shared a broad intellectual pursuit one that was needed to form nations with goals of freedom and enterprise. It also helps us appreciate the jagged journey that scientific instrumentation can take to get us into the high tech world we live in today also where we might be going tomorrow. 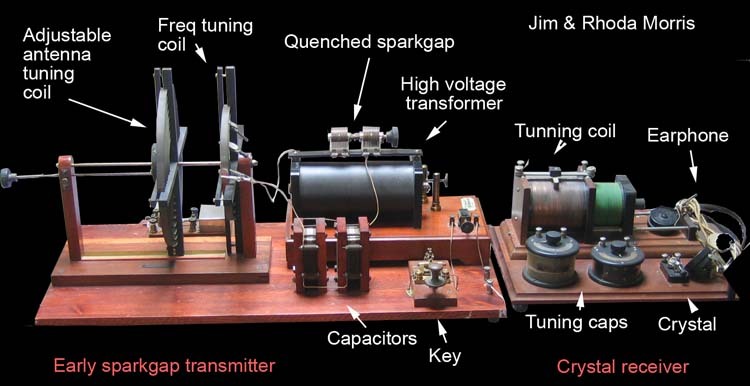 2,nd step beyond Madison which leads us toward improvements in high voltage generators The Wimshurst Electrostatic generator and how it works very late 1800's. which pushes closer to busting up an atom to see what it is made of. Combining the 3rd and 4th steps , A Van de Graaffs electrostatic generator and associated equipment. Incidentally the author built one of these in 1954 for an undergraduate school project. It was for accelerating protons through a potential difference up to 500,000 volts. As a student I chose building, one with an accelerating tube vacuum system 10-^6 mm. 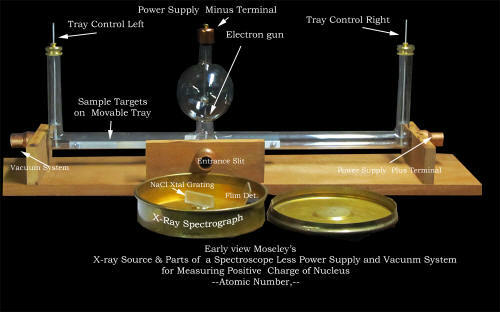 and extras, my goal being able to carry out an atom smashing experiment to further test E=MC^2 . This url leads the reader to another method of generating high voltages that were used in Atom smashing experiments of the early and mid 1900 's. Scientific instruments their ENTANGLEMENT + CONNECTIONS. How science moves on. Why they are so important to collect, to preserve for our learning process assuring us a safe future. .
us Quantum Mechanics and a better understanding of the chemical world we live in. 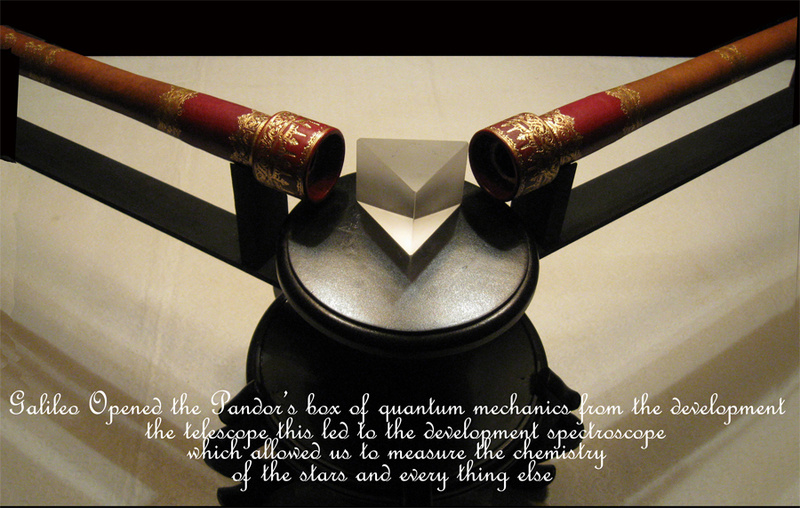 Two of our beautiful replica of Galileo's Telescopes plus a glass prism give us a very usable spectroscope. Future. Click here for more relevant insider technical background about these ultra famous telescopes . 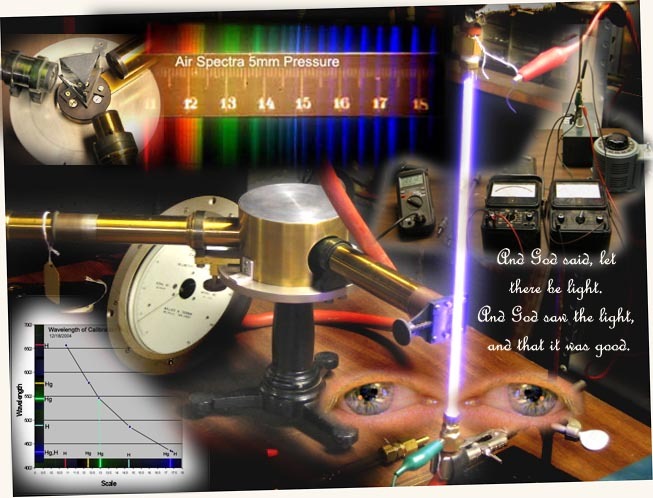 Combining The of the instruments of optics and electricity. One of our early spark gap crystal set radio station. Similar to the one that Edison used to invent the light bulb. The interaction of Plasmas and magnetic field pushing electrons and ions around, makes for even bigger and better atom smashers . In addition to the above we also provide other services. Building Galileo's Telescope IMSS 2428 for Griffith Observatory. Surprise construction revealed. Galileo's Telescope IMSS 2428 building a replica for the Science Channel's program Brilliant Minds. Galileo Pendulum Mistake Building A Brachistochrone You can own one too. Newton's color wheel Generating white light with the twist of a wrist. The Galvanometer. 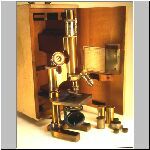 1825 The little simple instrument that inspired all of the serious discoveries in all branches of science and the explosion of inventions. What a scientific paper printed ( less the photographs) in a prestigious journal of physics looks like. Click here to see our resume for more details services offered. 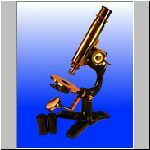 Select Instruments which are for sale that have appeared in National TV science programs See them in use. Typhoid Mary Chemical apparatus use for props in the filming of the award winning show. 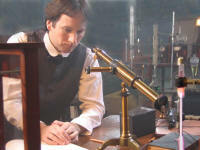 Percival Julian Chemical Apparatus and Instrument used as Props in the Filming of the one of the greatest chemist of the 20th century. Galileo's Telescope building a replica of for the Science Channel's program Brilliant Minds. Adolphus Washington Greely Filming His 1881-1884 Lady Franklin Bay Expedition to the Artic. Greely Lost Nineteen Out of His Twenty Five Men. Come and visit us at the Brimfield Mass. out door Antique shows in 2006 We Buy & Sell Good Prices Beautiful Instruments We love hearing & talking about them. Digital Ham Radio surrounded by Victorian scientific Instruments. See 55year old radio controlled Rudderbug Airplane crashes in Mokena Ill. The 50 car train wreck that nearly squished Jim. The story is printed in the fall issue of Dots and Dashes It includes great pictures of a valuable telegrapher's watch, telegraph sounder, telegraph office, train wreck, and an official railroad telegrapher and what they really did for a living. 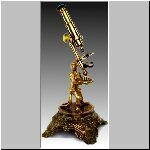 With regard to our project of the Galileo Telescope for the Griffith Observatory Rhoda & I can not thank the staff of the ISTITUTE E MUSEO DI STORIA DELLA SCIENZA Florence Italy enough for their help on our recent visit to gather data on Galileo Telescope. Most of us cannot appreciate 'enough' the hard work and dedication of the museum staff behind the scenes that preserve and prepare for display those precious things that demonstrate so well the positive attributes of the scientific community. This is a beautiful Museum for art lovers and scientist alike. The Instrument are truly works of art which also have had a major influence on our quality of life. Click here to share with us a bit of our visit to this wonderful Museum in Florence Italy and a short tour of Venice & Austria.